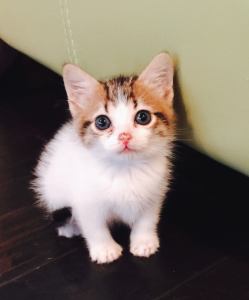 The National Kitten Coalition’s vision is that all neonatal, sick and other at-risk kittens are given a chance to grow and thrive through life-saving educational programs and positive partnerships among shelters, rescues, veterinarians and the public. We believe that true change occurs when organizations work together. This page lists some resources and organizations that we hope will help in your life-saving endeavors. The Coalition stays current on kitten-care information and best practices — many of which have been created by the following organizations. We share this knowledge, along with our personal expertise, at Coalition workshops across the country. Alley Cat Allies’ mission is to transform and develop communities to protect and improve the lives of cats. Alley Cat Allies was the first organization to introduce and advocate for humane methods of feral cat care, particularly Trap-Neuter-Return, in the American animal protection community. ASPCA Professional helps animal welfare professionals by serving as a source for the latest, most relevant research, innovative ideas and online training. Best Friends Animal Society’s mission is to bring about a time when there are No More Homeless Pets. The CATalyst Council’s vision is a cat-caring society which will be achieved through its mission of connecting & collaborating to advance the health, welfare and value of companion cats. This will ensure all cats are cared for and valued as pets. The Companion Animal Parasite Council’s (CAPC) mission is to foster animal and human health, while preserving the human-animal bond, by generating and disseminating credible, accurate and timely information for the diagnosis, treatment, prevention and control of parasitic infections. The Cornell Feline Health Center’s mission is to improve the health and well-being of cats everywhere through education, research and outreach. The Humane Society of the United States is the largest animal protection organization in the United States. The HSUS mission statement is Celebrating Animals, Confronting Cruelty. The Koret Shelter Medicine Program at the UC Davis School of Veterinary Medicine’s goals are to advance shelter medicine as a veterinary specialty through research, specialty training and education, and performance of veterinary service in animal shelters and to improve the quality of life of animals in shelters through improvements in veterinary preventive medicine and management of disease. Maddie’s Fund’s mission is to revolutionize the status and well-being of companion animals. It is a family foundation founded in 1994. Pam Johnson-Bennett is a best-selling author of seven books on cat behavior, host of the Animal Planet UK series Psycho Kitty and one of the most popular and sought-after cat behavior experts in the world. The University of Florida Maddie’s Shelter Medicine Program conducts research and from their findings creates life-saving protocols for kittens and other animals. Take a look at their website for some great tip sheets! The Winn Feline Foundation’s mission is to enhance the relationship between cats and humans by fostering improvements in feline health through research and education. This page contains links to external sites not controlled or affiliated with the National Kitten Coalition. The Coalition is not responsible for the content at the linked sites, nor does the presence of links imply that the National Kitten Coalition reviews, approves, recommends or endorses the linked sites or web content. The Coalition accepts listings to this web page that are complementary to our mission statement and reserves the right to refuse or remove any listings. If your organization would like to be considered for inclusion on this list, please email info@kittencoalition.org.